The Dark Drake Steel Arm Bracers provide necessary protection against blows during LARP combat. 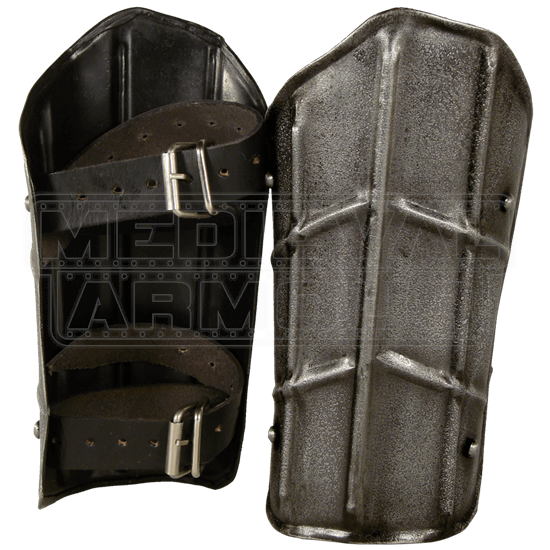 This set of forearm guards features a raised pattern that not only aids in deflection, but also creates a unique look for your character. 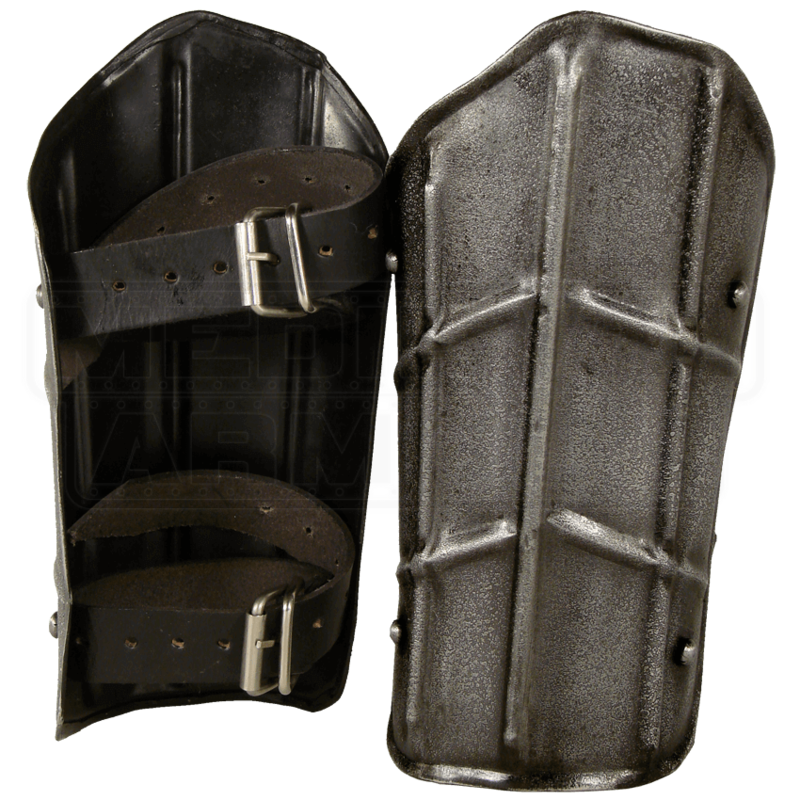 Made from 18-gauge mild steel, the arm bracers possess a dark metal finish, coated with a rust and scratch resistant treatment. A scale-like pattern with raised ridges, rivets, and rolled edges increase the defensive power of these bracers. Two buckle straps, made from top-grain leather, secure each bracer to a forearm. One strap appears just below the elbow, while the other adjusts above the wrist. Match the Dark Drake Steel Arm Bracers with the Dark Drake Steel Greaves for further customization and defense.